Mahmoud Nourayi is a professor of accounting at Loyola Marymount University. 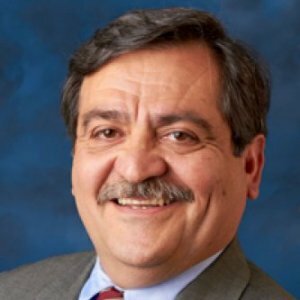 Professor Nourayi previously served as chair of the Department of Accounting and associate dean of the College of Business Administration. He joined LMU in 1990 and was awarded the rank of professorship in 1996. He was recognized as the “2012 Outstanding Accounting Educator" by the California Society of Certified Public Accountants. Professor Nourayi has taught cost accounting, management accounting, quantitative methods, and planning and managerial decisions since 1981. His professional experience includes tax and financial and management advisory services. He worked as an auditor in both public accounting and government. His professional experience also includes position as the accounting manager of a manufacturing concern and corporate internal auditor. His research interests include measurement concepts, managerial issues, corporate governance, CEO compensation and educational and economics-based research. Professor Nourayi has published in journals such as the Journal of Accounting and Public Policy, the International Review of Economics and Business, Journal of Managerial Issue, Internal Auditing Journal, Issues in Accounting Education, Journal of Education for Business, Research on Accounting Ethics, Research on Professional Responsibility and Ethics in Accounting, Journal of Applied Business Research, Managerial Finance, Managerial and Decision Economics, and The Journal of Business Inquiry among others. He is a member of the American Accounting Association, Institute of Management Accountants, International Association for Accounting Education and Research, and the California Society of CPAs. He has been a member of several committees of California Society of CPAs'. He is also a past president of the South Bay Chapter of Institute of Management Accountants. The Grosch Professorship is named after Paul Grosch, who was an accounting professor at LMU for 32 years. Professor Grosch’s vision for educating competitive and ethical accounting professionals is still at the core of the LMU Accounting Program. Distinguished faculty who hold the Grosch Professorship perpetuate this legacy and ensure that the Department of Accounting sustains its tradition of excellence in accounting education. Mahmoud Nourayi was selected as one of two recipients of the California Society of CPAs (CalCPA) 2012 Outstanding Accounting Educator Award. The award recognizes educators employed as full-time faculty members at an accredited college or university in California who have made significant contributions to accounting education and demonstrated excellence in teaching and/or endeavors in research over a sustained period of time. "SEC's Enforcement Actions and its Effectiveness in an Efficient Market." I analyze the stochastic properties of three measures of profitability for the Information Technology Economic Sector using a balanced panel of disaggregated US Information Technology (IT) firms during the period 1995-2009. This paper examines the effects of corporate governance on CEO compensation in light of regulatory controls introduced by the Sarbanes-Oxley Act of 2002 (SOX). The influence of economic and corporate governance variables on incentive-based CEO compensation are considered, using cross-section time-series panel data that includes multiple observations for the years 1999 to 2005. "New Manufacturing Environment & the JIT Philosophy" in Global Business Trends S. G. Amin, D. L. Moore, D. L. Kurtz, and S. Fullerton (eds. ), Academy of Business Administration, 1997: pp. 1 -7.